Metal screws attach this wooden artificial hand to the wrist or an artificial arm. It is encased in a leather glove. Each finger has three joints and is capable of some movement. The glove was probably added to make the hand look more realistic, or less obvious. 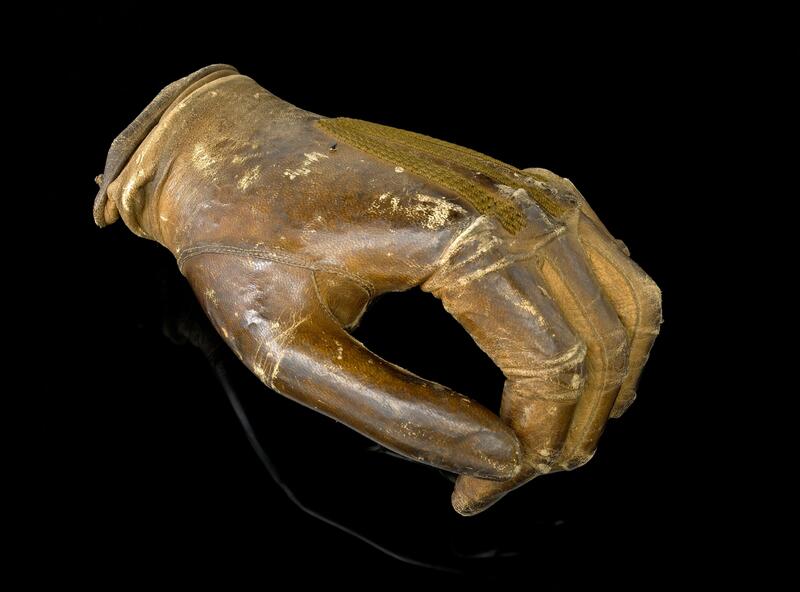 These heavier wooden prostheses were replaced by lighter, metal versions. This followed improvements in design after the First World War. 41,000 British servicemen lost one or more limbs during the conflict.